The internet is an interesting place, which makes it all the more tempting to steal a few minutes of catch-up time during regular office hours. Though it can actually make you more productive, not every boss is cool with you wasting precious workday hours browsing the web. Thankfully, we have a few solutions for you. Here's your guide to staying safe from curious co-workers and patrolling upper management if you need to take a quick glance online. It's worth emphasising at the outset that these are surface-level tweaks. They're not going to beat network activity logs and monitoring software. If you're on a network (and a computer) configured by your employer, then it's very difficult to hide all traces of your computing activity. In other words, the IT manager is probably going to know what you're up to, if he or she is paying attention. Nevertheless, these tips are effective ways of keeping your surreptitious browsing activities hidden from the boss who usually wanders behind your back on the way to the water cooler. 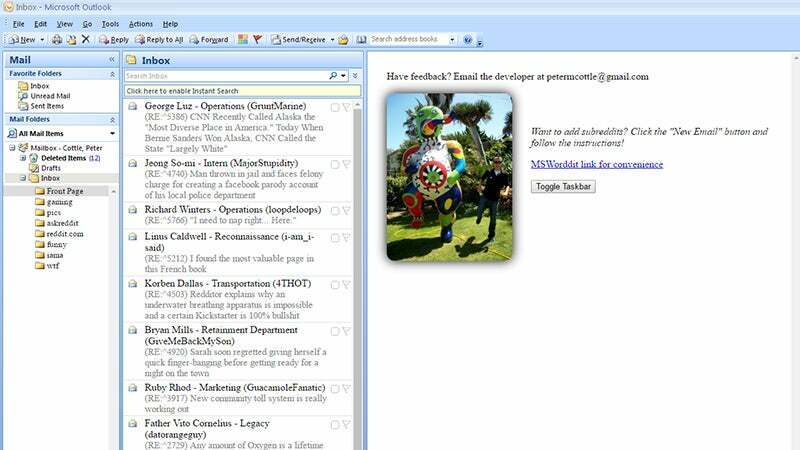 This Reddit Skin does a fantastic job of turning Reddit into an Outlook-style web app. Redditor names are masked with ones that sound a little more professional (like Bryan from Retainment) and thread titles become subject headers. New subreddits can be added by clicking the New email button. For other sites, Stylish can do a great job of obscuring what you're looking at. For instance, if you install the Facebook plug-in for Chrome or Firefox, it turns the social network into a dull-looking black and white portal, hiding images and videos until you hover over them with the mouse. It's not exactly perfect, but it does disguise that tell-tale blue border at the top of the page — which can be really helpful if someone's watching from the other side of the office. Decreased Productivity for Chrome works along similar lines, enabling you to change the look of virtually any site on the web by adjusting the text and background colours and hiding images by default. Someone who looks closely is still going to be able to tell you're on YouTube or Gizmodo, but you can make fun sites look a lot more work-related. A different approach is to browse the web as normal and then hide all the evidence as soon as anyone wanders over to your cubicle. Win+M minimizes all open windows on a Windows machine while Cmd+H hides the current app on OS X; you can of course also quit the current app with a keystroke (Alt+F4 on Windows or Cmd+Q on OS X). Need something more powerful? Boss Key lets you set your own shortcut and hides everything from the Windows taskbar as well, making it impossible for anyone looking over your shoulder to see what you've been up to. Don't Panic! 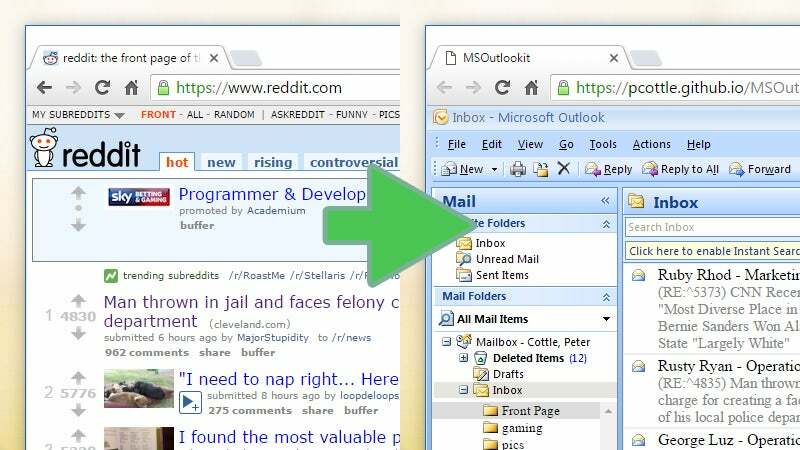 for Windows does a similar job but cleans up your recent browsing history at the same time. 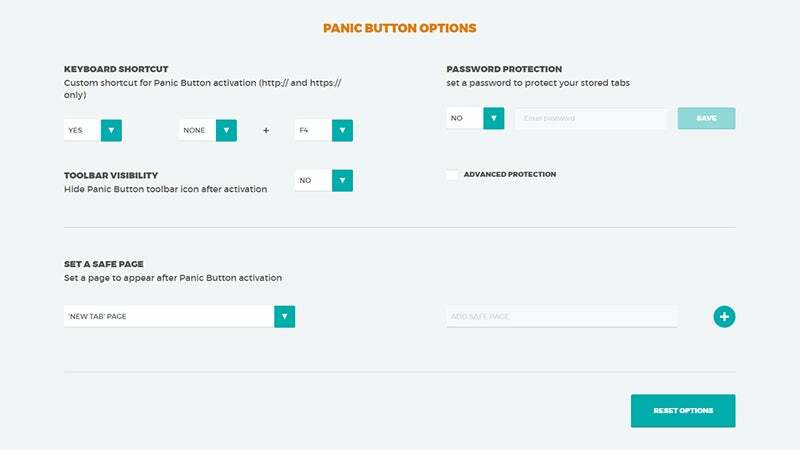 You can also find similar 'panic button' tools as browser extensions for Chrome and Firefox if you look in the respective places. There are quite a few native and non-native options to choose from, so pick an appropriate utility that matches your browser and the dexterity of your fingers (or mouse actions). We never like to miss an opportunity to mention IFTTT (If This Then That), and because it plugs into the major social networks (Facebook, Twitter, Instagram), you can use it to pipe social media feeds into a more respectable format such as a spreadsheet in Google Drive or an email digest, for example. Look for built-in options for your favourite sites too. You can, of course, get email alerts for Facebook and Twitter, update your status via email, and keep up to date with Facebook notifications in any RSS reader. For plenty of sites you can at least keep up to date without having to open up a web browser. 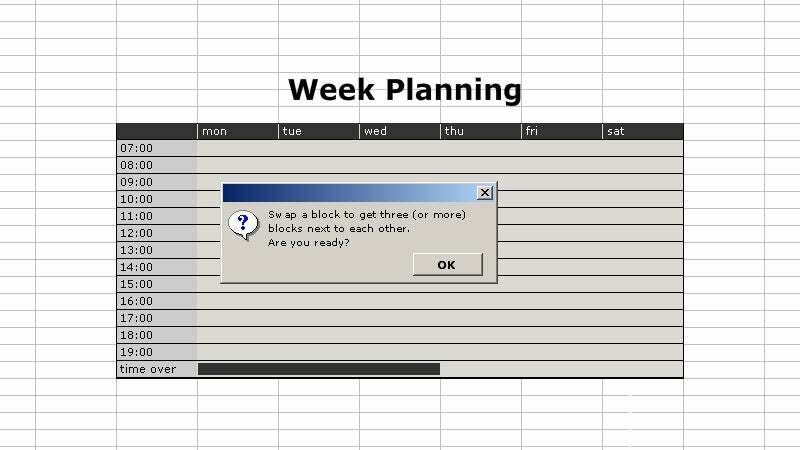 And if you'd rather play some games that look very much like Excel spreadsheets, there are options for that too. Alternatively, if you are finding yourself distracted too often in the office, perhaps it's time to look for another job — though you might want to do that at home.